When we talk about the heavyweight optics design, two names strike the mind i.e. Vortex and Aimpoint. Vortex has wider lined optics which includes the red dots, variable scopes, spotting scopes, and binoculars. On the other hand, Aimpoint is known for its red dots. Aim point is an optic that has been invested at the first place. Both of these companies make high-quality products and people are always found to be confused if they should buy Vortex or Aimpoint. 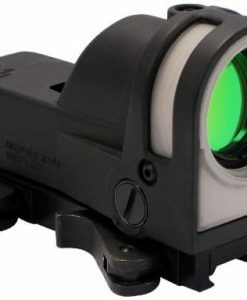 As a generic point of view, it would be very right to say that customers of Aimpoint include the military and police customers while the civilians are main users of the Vortex strikefire. So which one of these two is better needs to be argued upon properly with facts and figures. Having an optic on any rifle is one of the main issues these days. The police, military and civilian shooters are well aware of the benefits offered by the optics on the rifle. It does not matter if the users are looking for long or short range shooting, these optics provide extreme benefits to the shooters. Vortexes, as well as Aim point, are known for their red dot optics. 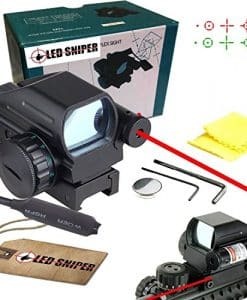 Aimpoint is a pioneer in creating the red dot sight while the Vortex introduced to the word that red dots can be offered in cost effective manner. When Vortex Strikefire was introduced in the world, it created a massive splash everywhere. The reason behind this was the fact that it was one of the first scopes that were created to be extremely well made and at the same time it did not prove to be any kind of burden on the pocket. It was introduced to modernize the older strike fire that has been discontinued. The Strikefire 2 has been presented with several needed changes and at this point of time, they are in real demand. Price is one of the biggest advantages that Vortex enjoys over Aimpoint is its price. No doubt Aim point optics are extremely well but they are extremely expensive. On contrary, the Vortex Strike fire 2 is capable of shooting several options in lower price range. The Strikefire 2 has been well equipped with h10 total brightness setting. A couple of these are for shooting during the night time. This specific optic costs under $200 and yet it has been designed to work perfectly at 22 degrees F to 140 degrees. It has been sealed with an O ring in order to make it waterproof however it is not submersible. The optic battery works for at lest 6,000 hours when it is used at the lowest settings. This is one of the budget versions of the AIm point. It has been designed for casual shooting. Aimpoint aco has cut the cost with the help of the reduction and elimination of certain features. ACO can be mounted out of the box can work for around a year with a single battery. Though it is waterproof however it must not submerge more than 15 feet. It is capable of beating Vortex with respect to this feature. Both of this co-witness via AR height, however, Vortex has been equipped with several different heights mounts easily accessible. The Aimpoint ACO is not compatible of working during night time which is a big disappointment as paying double the price of Vortex and not getting this feature is not expected. No doubt Aimpoint has been very well designed but it cannot justify the high price. 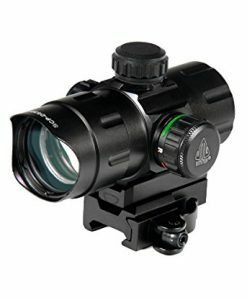 Aimpoint optics is not cheap products but they are committed to offering to you whatever you will be paying for. 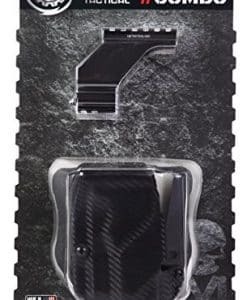 They can be bought in $400 to $800, they are the perfect choice of people who is willing to have an optic that appears to last forever or the ones who prefer Aimpoint over Vortex. On the other hand, the Vortex Strikefire usually can be bought in $400. It is becoming really common these days. Another name for this optic is poor man’s ACOG. It does not mean that a poor man can actually afford to buy it. It is actually a versatile option in both 1x as well as 3x which makes it worth looking at. Both of these have an impressive battery life. The Aimpoint offers 300 hours when it is used at maximum brightness while 5,000 hours when it is used at minimum brightness. On the other hand, Vortex lasts up to 6,000 hours at minimum brightness and 400 hours on maximum setting. The Vortex Strikfire has a 30mm objective lens and tube. It is long enough to allow the Cantilever’s mounting. Vortex scope is basically offered with a beam enabling the user to co-witness with height AR sights. On the other hand Aimpoint is offered with the 22mm objective lens and a compact frame. So which optic you should be investing into you completely depends on you and your preferences. It is, in fact, all about what do you plan to do with the optics. If you are tight on budget, then no doubt cost-effective route is Vortex. On the other hand, if you want to enjoy possession of an experienced and tested way out then Aimpoint should be your destination. Both the names serve the niche of a high-quality red dot. Moreover, both of these are excellent optics that will serve you at their best. You will not regret investing in any of these in any manner. The bottom line is that how much you are willing to have that longevity that is offered by Aimpoint as by the end of the day, it is better than Vortex in most of the ways.